We all know that the Indian economy is in dire straits. 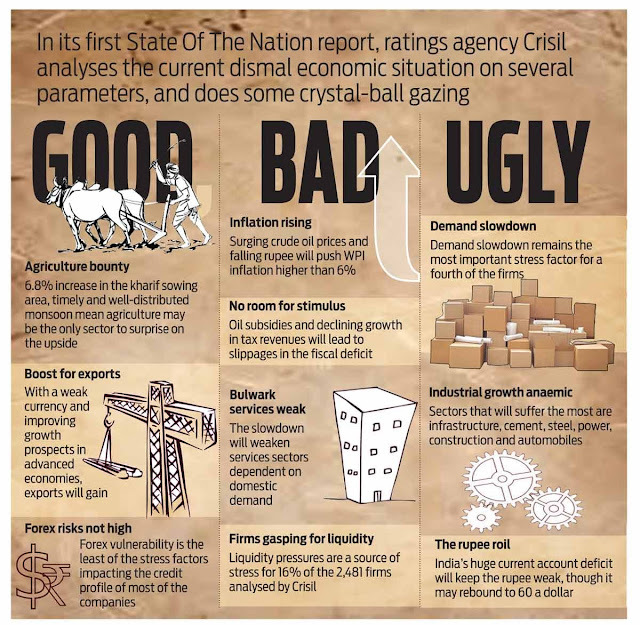 The GDP growth for 2013-14 is likely to be lower than expected; this has been confirmed by Dr C. Rangarajan, who heads the Prime Minister's Economic Advisory Council (PMEAC). 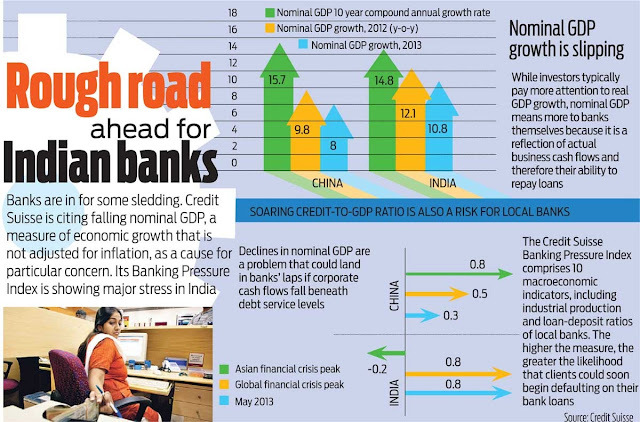 I found two infographics on the DNA newspaper site; the first one focuses on the current state of the Indian economy and the second one on the tough road ahead for the Indian banking sector. Extremely informative and extremely indispensable information on your blog wrt GDPI and Summer Placements!...Thanxx a lot Sir!! Very informative Sir. Can you please explain about Weak rupee.